You give Aston Designer Marek Reichmann a pencil, an order to design a car for a video game, and some peyote. What you get in return is the DP-100. It's unlike any Aston you've seen before, and that is totally ok. 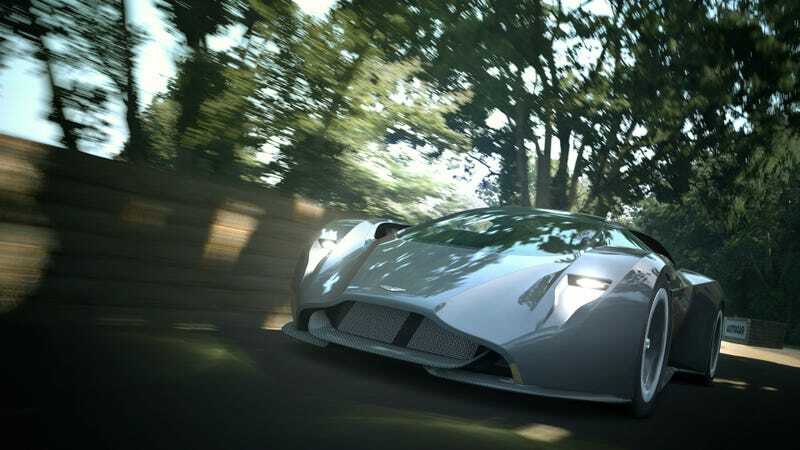 The Vision Gran Turismo concept series has been divisive in the car world. Some love the future visions, others (mainly sticks in the mud), think that it's pointless and stupid. But here, we have an Aston Martin unlike anything we'd ever get on the road. A true supercar killer. It's a mid-engined twin turbo V12 beast with up to 800 horsepower. Hmmm, twin turbo V12, could that be from Aston's new friends at AMG? The body has active aero and still includes some signature Aston elements like the grille and the tail lights. But that's about it. This is an Aston in name alone, a total departure from the GT cars that we've been used to. And since it'll never be built for use on the roads, that's ok. You'll be able to download the DP-100 starting in July.